I wore this easy breezy outfit on both days of an indulgent weekend. Seeing movies, daytime drinking, lake swimming and good eating had me feeling those positive summer vibrations. oh goodness! I don't know which I love more, your cute outfit or the orange background! Orange is my favorite color. You look awesome. I love your outfit AND your description of an indulgent weekend. Makes me wish summer would hurry up and get here! Awww so cute! 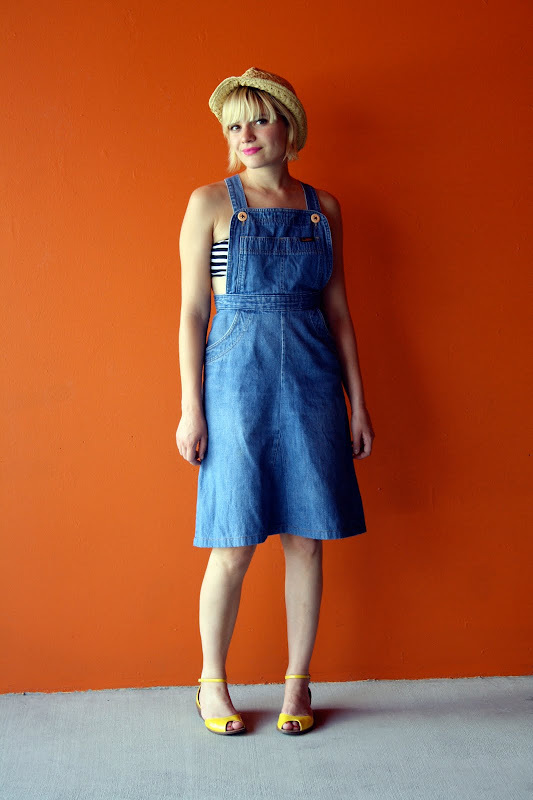 Gorgeous denim dress. It's such a different style to what I've seen around. And the yellow and striped accents are a win! 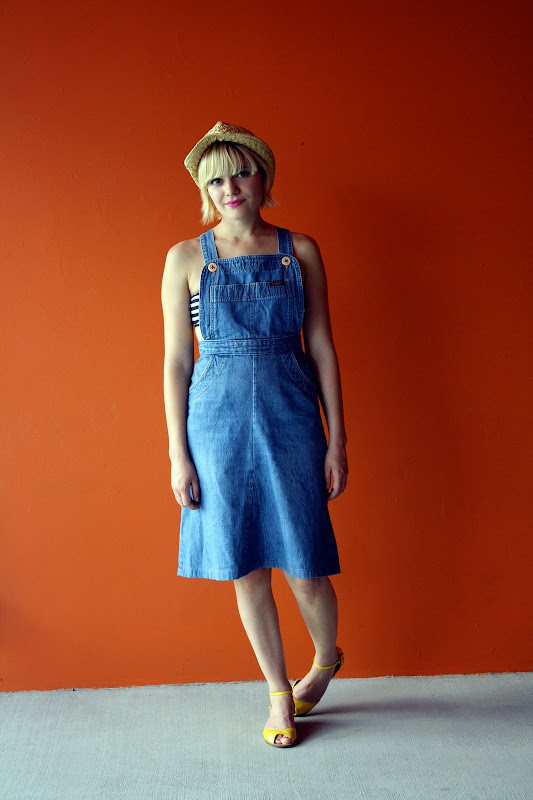 the overalls are so cute...and the hat makes the look so laid back. Great colors. Great outfit for summer. It's such a unique style to what I've seen around. And the yellow and striped accents are just amazing. Best attire for summer. It's such a unique style according to latest trends. Really you look very beautiful.